Dr. Utzinger is Elliott Professor of Religion. He was a Lilly Fellow for the Arts and Humanities (1999-2000) and carries a Ph.D. in Religious Studies from the University of Virginia (2000), an M. Div. from Yale University (1993) and a B.A. in Theology from Valparaiso University (1990). While at Hampden-Sydney he received the 2010 Cabell Award for Excellence in Teaching and was named the William W. Elliot Associate Professor of Religion. In 2015 he was awarded the Thomas Edward Crawley Award, presented in memory of professor and Dean, Thomas Crawley, for the faculty member with the most distinguished service to the College and its ideals. Dr. Utzinger's research and teaching interests include Modern American religion, particularly American Evangelicalism, African American religion, and religion and the Civil Rights movement. At Hampden-Sydney he regularly teaches courses in American religious history, alternative religions, and religion and ethnic identity. He also regularly participates in the College’s Western Culture program. Dr. Utzinger also has an interest in interfaith engagement. To this end, he has participated in local interfaith efforts; developed courses to help students understand the importance of student interfaith leadership in the context of American pluralism; and participated in development seminars led by the Interfaith Youth Core. He was also a recent panelist for the King in Virginia: Beloved Community Roundtable sponsored by the MLK Commission of the General Assembly of Virginia in 2018. Dr. Utzinger's most current research looks at the role of religion during massive resistance in Virginia. His article, entitled "The Tragedy of Prince Edward: The Religious Turn and the Destabilization of One Parish's Resistance to Integration, 1963-1965" in Anglican and Episcopal History (June 2013) was awarded the Nelson R. Burr Prize. Each year the Historical Society of the Episcopal Church awards the Nelson R. Burr Prize to the author of the most outstanding article in the last published volume of the Society's quarterly journal, Anglican and Episcopal History. It also honors that which best exemplifies excellence and innovative scholarship in the field of Anglican and Episcopal history. He continues to research and study the connection of religion to the rise massive and passive resistance in Virginia. Dr. Utzinger’s book, entitled Yet Saints Their Watch Are Keeping: Fundamentalists, Modernists, and the Development of Evangelical Ecclesiology, 1887-1937 (Macon, GA: Mercer University Press, 2006), examines the idea of the church, or ecclesiology, within the Northern Protestant establishment. He argues that evangelical ecclesiology was characterized by denominational ambivalence. This ambivalence meant that, while Northern Protestants valued their denominational affiliations, they also had no compunction to work outside of them. His study shows that, despite their infighting, evangelicals typically found ways to cooperate with one another to preserve their denominational institutions. In other words, the controversies' results were not only contention but compromise. And, rather than indicating the eclipse of denominationalism, fundamentalism and modernism acted to revitalize those institutions and help them persist. Other select academic and popular publications include: "Faith That Kills? Reflections on Religion after 9/11" in James Old and John Paul, ed. For the Whole of Creation: Christianity and Scholarship in the Public Square, the Guild, and the Church (Valparaiso, IN: Valparaiso University Press, 2010); "Post-Roddenberry Star Trek" with Robert H. Blackman, The Cresset (Michaela’s, 2009); "Review Symposium of Mark A. Noll and Carolyn Nystrom's Is the Reformation Over?" Horizons 34:2 (Fall 2007): 332-357; "The Third Angel's Message for My People: Charles M. Kinny and Founding of Seventh-day Adventist Missions among Southern African-Americans, 1889-1895" Fides et Historia 30:1 (Winter/Spring 1998): 26-40, and "Our Anxious Grief: A Christian Response to Death" New Theology Review 11:4 (November 1998): 53-60. Utzinger serves as moderator of the Southeastern Colloquium on American Religious Studies (SCARS), which brings together scholars from Virginia, North Carolina, and the District of Columbia to examine issues surrounding religion in the United States. He is also the Vice President of the Historical Society of the Episcopal Church. He also sits on the Community Board, as chair of the programs committee, for the Robert Russa Moton Museum for the Study of Civil Rights in Education. He has served on the vestry of Johns Memorial Episcopal Church as senior warden and on the Anti-Racism Commission and the Commission on Ministry for the Episcopal Diocese of Southern Virginia. He has also helped served as outside departmental reviewer for several religion departments in the Commonwealth. 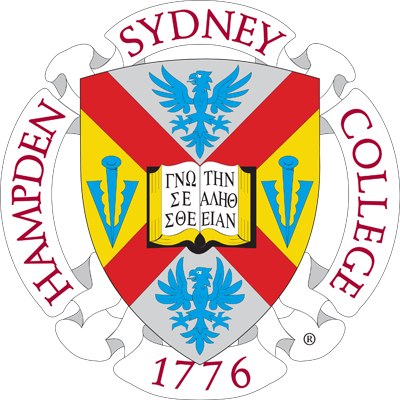 At Hampden-Sydney, Utzinger has served on numerous committee and projects, among them the Budget Audit Committee, the Academic Facilities Committee, the Retirement Committee, the Academic Affairs Committee, the Honors Council, the Intercultural Affairs Committee, the Professional Development Committee, faculty representative to the Board of Trustees, and the Academic Master Planning Committee (as chair). Dr. Utzinger has held the administrative posts of Associate Director of the Honors Program (twice as Interim Director) and Associate Dean of the Faculty (2011-2014, 2016). In 2014-2015 he co-chaired the college's efforts to promote student retention and engagement. He currently serves as chair of the Department of Religion and on the faculty advisory committee of the Wilson Center for Leadership in the Public Interest. Potential topics for students: Those interested in religion as it impacts history, politics, or culture in the American context.